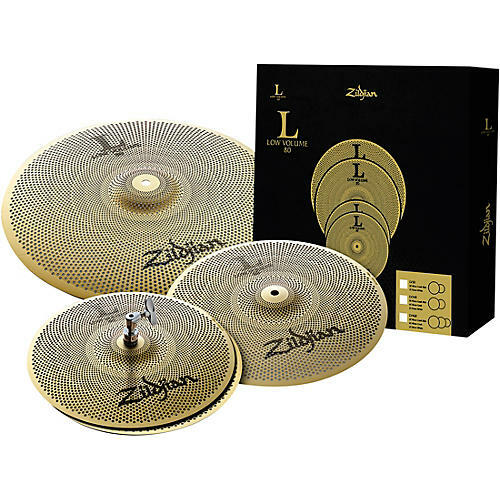 As a leader in cymbal making, Zildjian is always looking for new and innovative ways to bring a better musical experience to the drumming community. One area where drummers commonly express difficulty is lowering or dampening cymbal volume for practice and smaller gigs, or for the sake of close or sensitive neighbors. To really practice, it’s best to just play as you normally would, rather than ease up to cut volume. Zildjian has come up with an ideal solution—the Low Volume Family of cymbals. Through tireless research and development, a specialized pattern was achieved to deliver the best of both worlds: musicality and lower volume. This innovative pattern is combined with a special proprietary alloy with a unique matte finish that enables the Low Volume cymbal to have fewer high frequencies and is up to 80% quieter than a traditional cymbal.